Today the Evergreen Fire Protection District has officially joined the Rocky Mountain E-Purchasing System to help simplify their bid and RFP distribution process. This will allow us to more efficiently post and receive responses to our RFP/RFQs each year and to reach more vendors. Today the Evergreen Fire Protection District has officially joined the Rocky Mountain E-Purchasing System to help simplify their bid and RFP distribution process. The Rocky Mountain E-Purchasing System is one of BidNet’s regional purchasing groups spanning across all 50 states which offers participating local government agencies an e-procurement solution. Evergreen Fire/Rescue invites all vendors to register online at http://www.BidNetDirect.com/Colorado to access its upcoming solicitations. With the Rocky Mountain E-Purchasing System, vendors register to access one centralized location with opportunities from over 200 participating agencies throughout Colorado & Wyoming. By posting upcoming solicitations to the regional purchasing group, Evergreen Fire/Rescue hopes to make it easier for more vendors to access their documents. They also hope to expand the reach of their solicitations to a more diverse vendor pool. The Rocky Mountain E-Purchasing System provides a method to track all bid activity, including the details of vendors who have received or downloaded a bid. Evergreen Fire/Rescue invites all local vendors to visit http://www.BidNetDirect.com/Colorado and register to receive access to its upcoming solicitations as well as the upcoming bids and RFPs from over 200 other public agencies participating on the Rocky Mountain E-Purchasing System. Registered vendors also gain access to a team of experienced customer service support representatives and can upgrade their service to receive customized bid alerts, advanced notice of term contract expiration, and notification of a recently posted addendum. 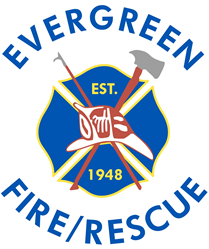 Since 1948 Evergreen’s volunteer fire department has grown from one truck and station to a department of 121 men and women working full time, part time, and as volunteers with a fleet of trucks and 8 stations. Our team provides around the clock emergency medical, rescue, and fire suppression services along with fire inspection and education to nearly 26,000 residents across more than 120 square miles. Evergreen Fire/Rescue offers non-emergency services to its community as well, including CPR courses, space for community meetings, participation in community events and station tours.